Learning patterns at an early age builds predicting, observation and analyzing skills. 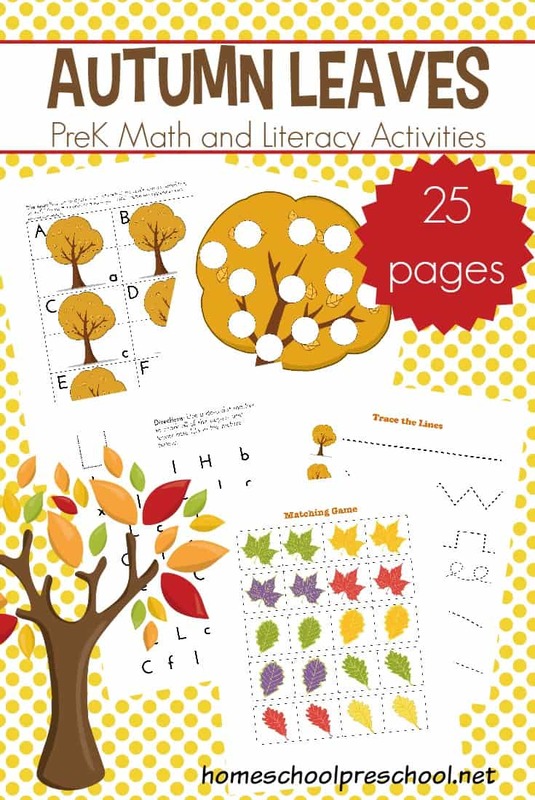 Try this simple fall patterns preschool activity! 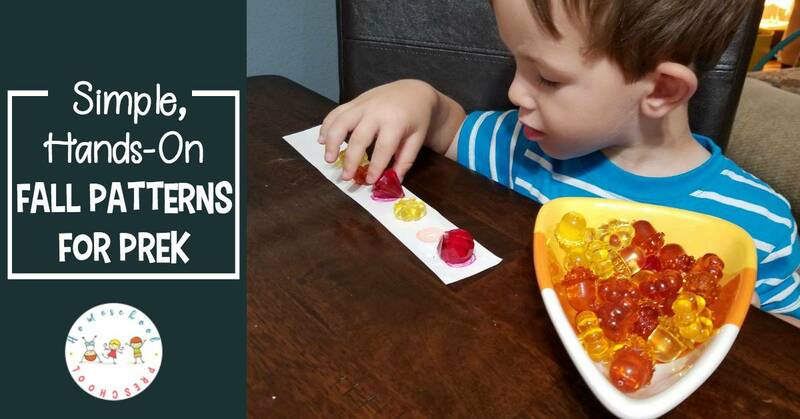 My son often says, “Let’s make a pattern,” while eating a snack or doing an activity with different kinds of small items. He doesn’t completely understand how to complete one. The mental skills identifying patterns is preparing him for are yet to develop. 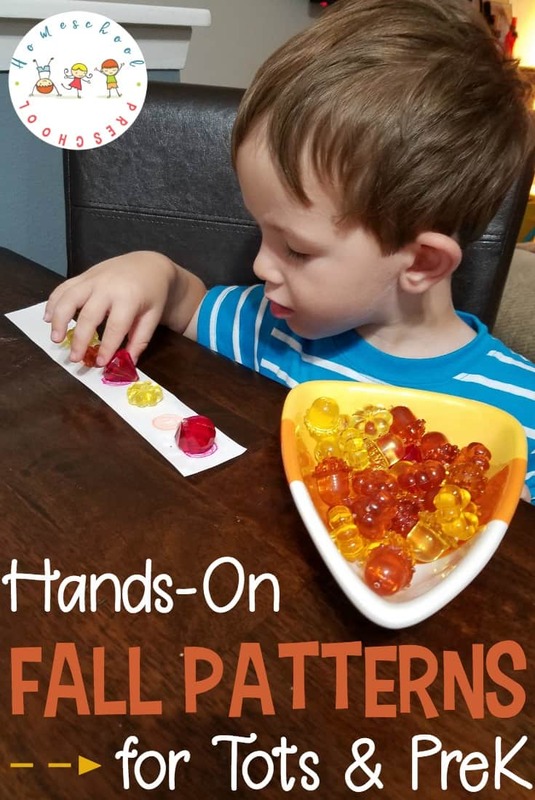 However, I knew he would enjoy this simple fall pattern activity. And, it was a fun way to introduce some basic math skills. I had some really adorable plastic fall manipulatives on hand from my classroom teaching days. And a really cute candy corn bowl was a fun way to present and use them. To get us started, I drew the beginning of an AB pattern (red, orange, red, orange) of circles on a strip of paper. We also experimented with an ABC pattern (red, orange, yellow). I prompted my son to start on the left and work his way to the right lining up the items on the circles. When we got to the end of the circles on the paper I asked what came next in the pattern. Learning patterns at an early age builds predicting, observation and analyzing skills. Simple patterns are fun for kids to complete and build a strong foundation for more advanced mathematical thinking. 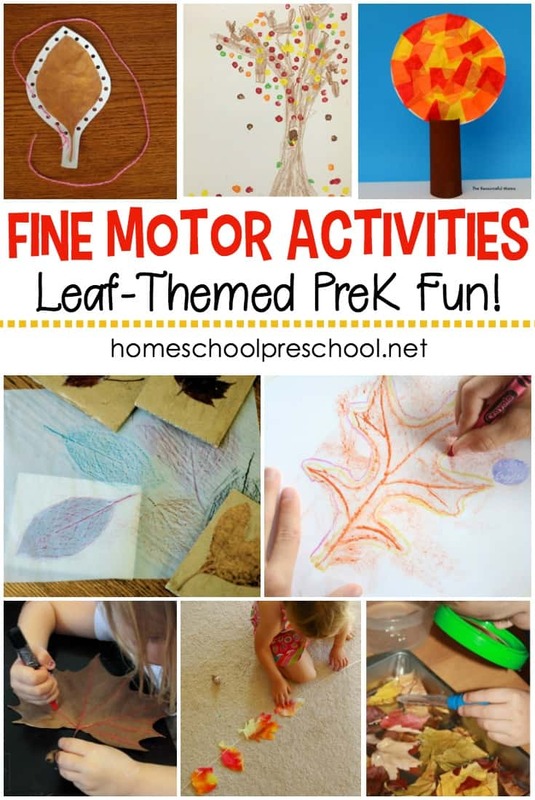 The best thing about this activity is that it is really versatile and can be done with lots of things you already have around the house! 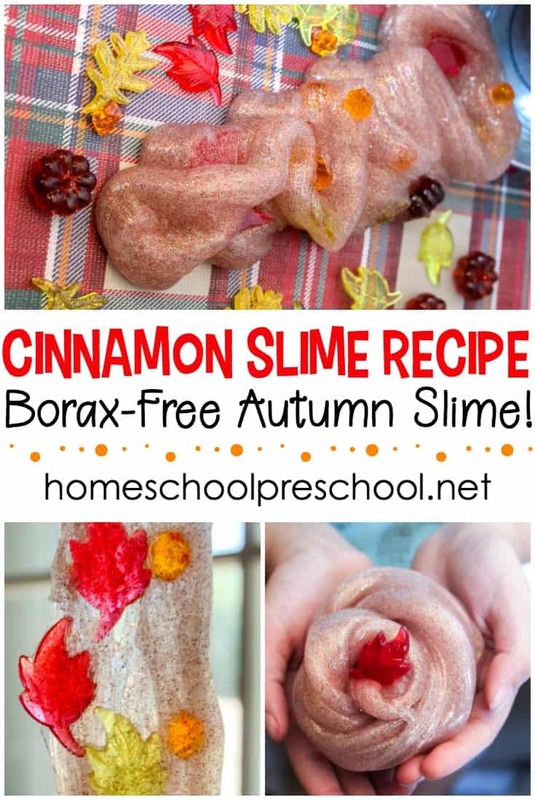 This activity can easily be modified to fit any season or theme! Use items you find around your house, or stock up on seasonal supplies from the Dollar Store. Hope you enjoy it as much as we did! Here are some fun books and resources you can use to introduce your preschoolers to patterns and patterning.